Improve user experience: See which pages are popular among your visitors and which pages drive them away. Understanding where your visitors’ attention is focused will also help you to place your ads where users are most likely to look at them. Grow revenue: Make changes based on how earnings are affected by aspects of user behaviour such as visit frequency and page depth. 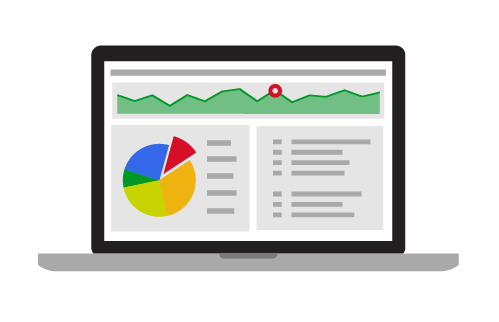 Learn how to link Google Analytics with your AdSense account in our Help Center and start identifying revenue opportunities. If you don’t have a Google Analytics account, you can easily set up your account now. As always, we’d love to hear your feedback. Tell us what you think and share your insights from Google Analytics in the comment section below this post. If you want to grow your website and your ad revenue, you need to understand your audience. Google Analytics is a powerful tool that helps you better understand your site visitors and define the right strategy for your site. We've recently improved how Google Analytics links to your AdSense account, making it easier than ever to understand what's working on your site. With this new update, you can link your AdSense account within Google Analytics in fewer steps and can also link your AdSense account to multiple Google Analytics accounts. Optimize your website: Identify opportunities across traffic sources, geographies, devices, pages and browsers.